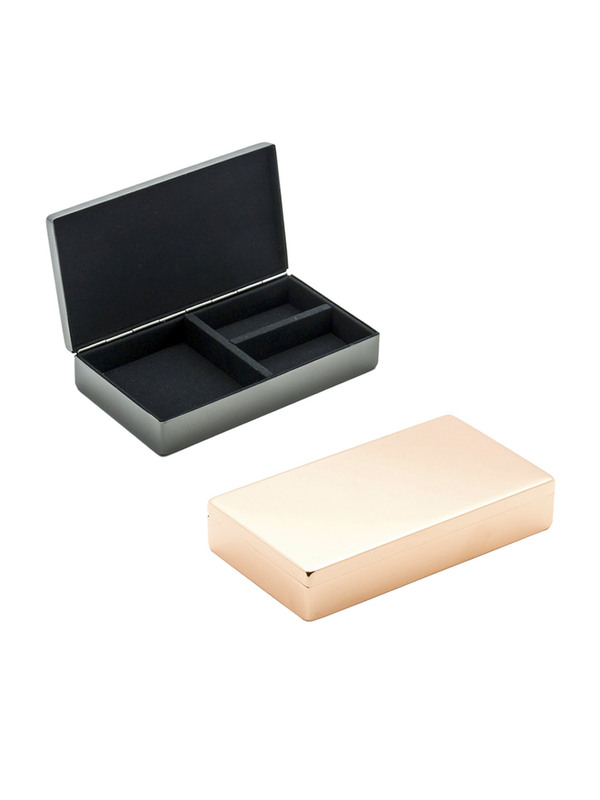 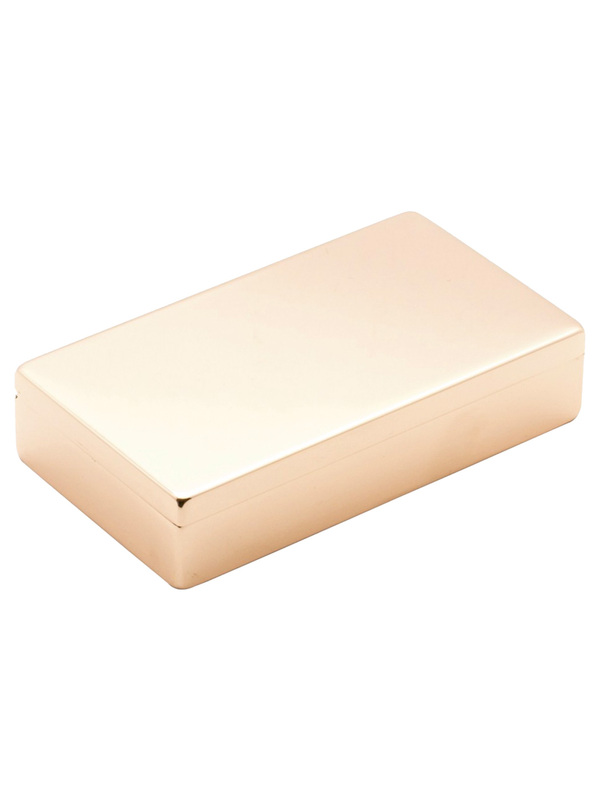 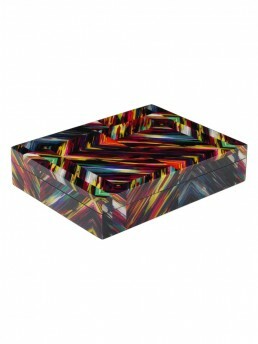 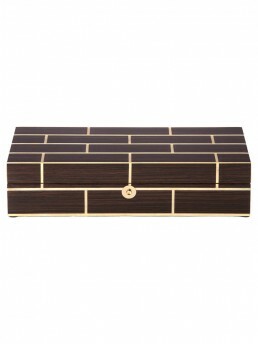 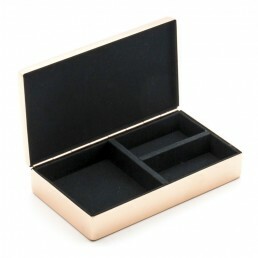 Rectangular treasure boxes in beautiful metallic plated finishes from Lund of London. 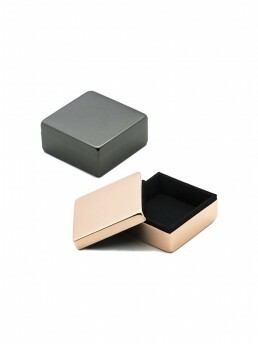 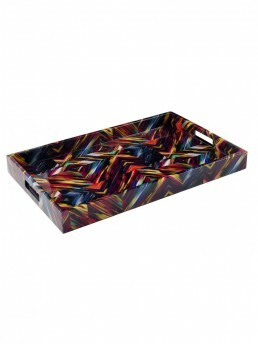 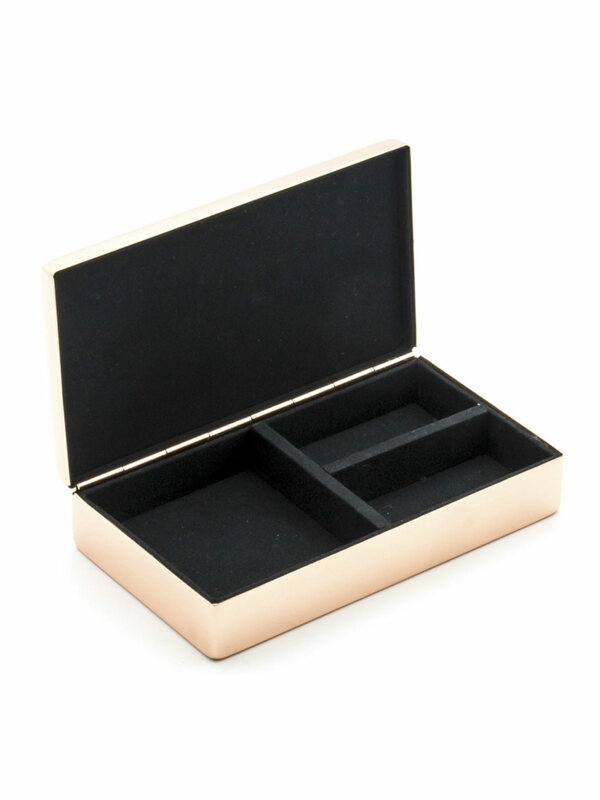 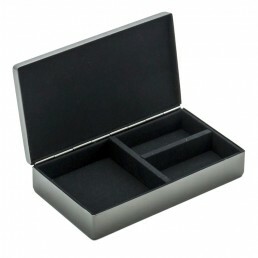 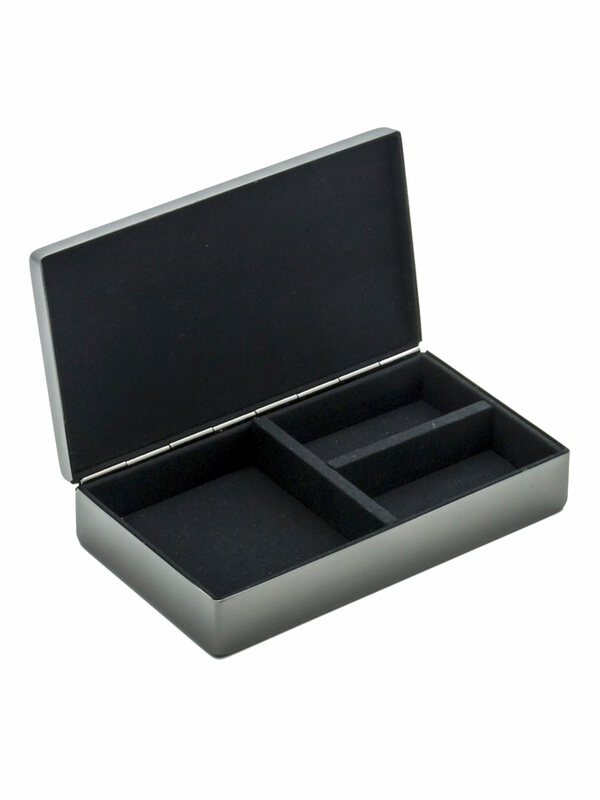 These modern boxes have hinged lids and black velvet fabric inside divided into three compartments. 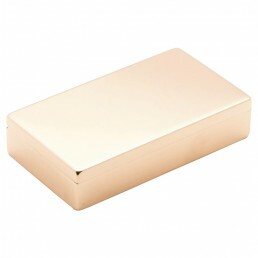 They are great for storing jewelry or a polished accent for your dressing table. 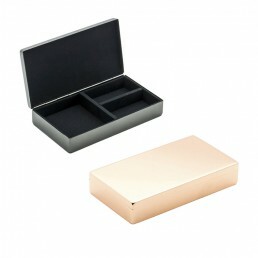 Available in gunmetal or rose gold. 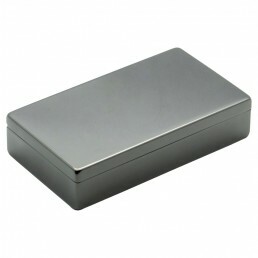 Smaller square unhinged size also available.